Venezuela’s state prosecutor has panned unpopular President Nicolas Maduro’s plan to create a grassroots congress, deepening a rare public split among the ruling Socialists as the death toll from two months of unrest hit 51. Chief State Prosecutor Luisa Ortega stunned the crisis-hit country in March when she lambasted the Supreme Court for annulling the powers of the opposition-led National Assembly. Since then, she has been a wild card within the publicly homogenous Venezuelan government, whose foes accuse it of seeking to dodge elections by creating a parallel assembly with powers to rewrite the constitution. Socialist Party official Elias Jaua, in charge of the “constituent assembly” project, confirmed on Monday that Ortega had written him to express her discontent in a letter that was previously leaked on social media. “It is my imperative to explain the reasons for which I have decided not to participate in this activity,” Ortega’s two-page missive reads. “Instead of bringing stability or generating a climate of peace, I think this will accelerate the crisis,” she said, mentioning it would heighten uncertainty and alter the “unbeatable” constitution launched under late leader Hugo Chavez. Jaua acknowledged receipt of Ortega’s letter, but quickly said she was merely expressing a “political opinion,” without any power to change the situation. “We consider that the only organ the Bolivarian Republic of Venezuela’s constitution empowers to interpret the constitution is the Supreme Court’s constitutional chamber,” he said at a news conference, in reference to the pro-government top court. 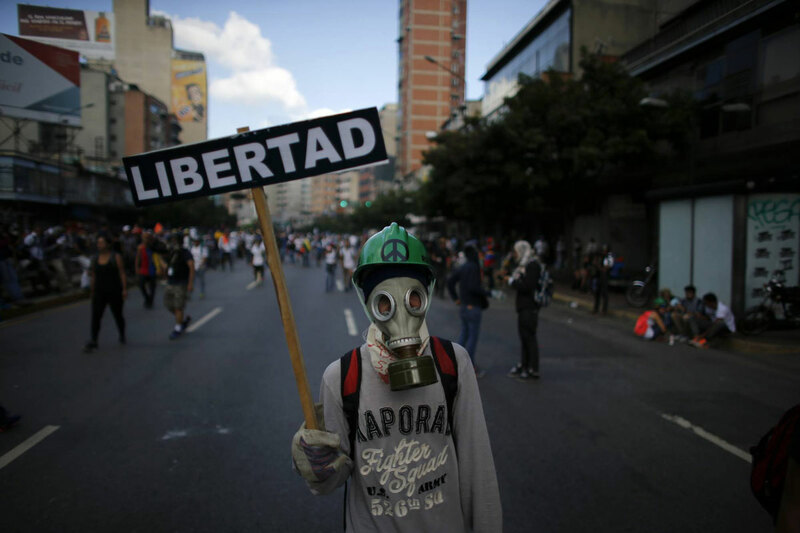 Venezuelans are scrutinizing Maduro’s government and the armed forces for any cracks as protesters take to the streets daily to demand early elections, humanitarian aid to alleviate food and medicine shortages, and freedom for jailed activists. While there are no outward signs of major fissures that would destabilize 18-years of ‘Chavista’ rule, demonstrators have been cheered by Ortega’s public dissent and by some public denunciations of officials by their relatives. While anti-government protests have brought hundreds of thousands to the streets, Venezuelans are increasingly concerned about spates of nighttime looting and barricades popping up in many neighborhoods. Masked youths man roadblocks, turning back traffic or asking motorists for a monetary “collaboration” to be allowed through. The worst nighttime unrest has largely been concentrated outside the capital, however, with the jungle and savannah state of Bolivar hard-hit overnight. Some 51 buses were burned after a group attacked a transport company in the city of Puerto Ordaz, the prosecutor’s office said on Monday. Barricades and clashes with the National Guard were also rippling through the city on Monday, according to a Reuters witness. 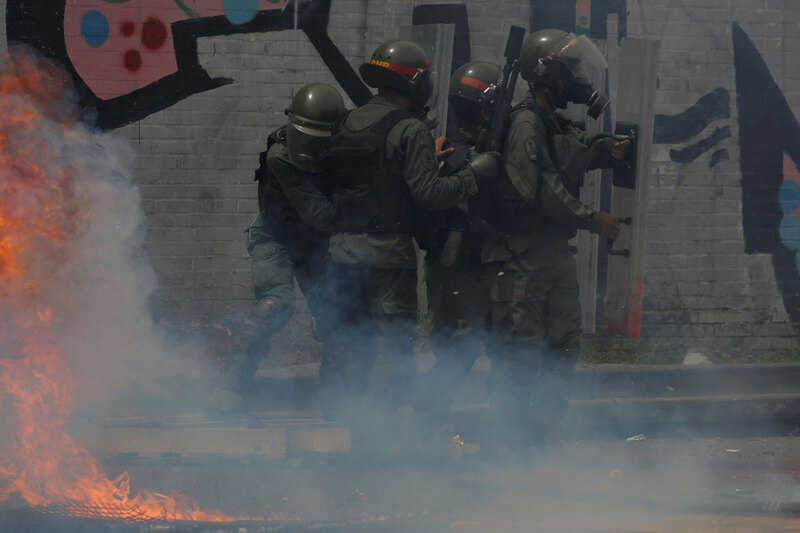 Mobs burned the headquarters of the Socialist Party in the state capital, and clashes and looting raged throughout the day, witnesses and authorities said. Several opposition leaders have condemned the violence, but the episodes highlight the risks of protests spinning out of their control amid widespread anger at Maduro, hunger, and easy access to weapons in one of the world’s most violence countries. Maduro accuses his opponents of an “armed insurrection,” backed by the United States, his ideological foe. His government blames “fascist” protesters for looting and deaths in the unrest since early April. The death toll increased to at least 51 people after a policeman, Jorge Escandon, died after being injured in Carabobo state and three people died in protests in Barinas, the prosecutor’s office said on Monday. Hundreds of people also have been injured and more than 2,600 arrested, with about 1,000 still jailed, according to rights groups. On Monday, opposition supporters and doctors in white robes tried to march to the Health Ministry in Caracas to demand access to proper treatment amid major shortages of medicines ranging from painkillers to chemotherapy drugs. “Today, I’m not here as a lawmaker, I’m here marching for my sister who has a cerebral tumor, a tumor that is growing again and producing paralysis, a tumor for which Venezuela used to receive medicine and the injections for this not to happen,” said opposition lawmaker Miguel Pizarro. “Today I walk for my brother, who is diabetic, and who, like my mom, can’t find medicine,” added Pizarro, part of a new generation of opposition leaders who have been at the forefront of protests and often been tear-gassed. In a scene repeated over and over in recent weeks, security forces fired tear gas at demonstrators and clashes erupted with hooded youths who threw rocks. Venezuela prosecutor decries Maduro congress plan. Ortega lambasted the Supreme Court for annulling the powers of the opposition-led National Assembly.